Using advanced visualization technology on education is without doubt a way of accelerating the information intake while diminishing implementation costs. Simulating the real-world through 3D gives an impressive platform to understand and experience situations. By imitating reality, serious gaming in 3D, opens the possibility to entertain and educate at the same time. After all, a game is basically no more that the sequence of decisions that independent individuals take under limited circumstances to arrive to an specific objective. Such techniques of gaming are therefore designed and used, to understand and/or solve problems. 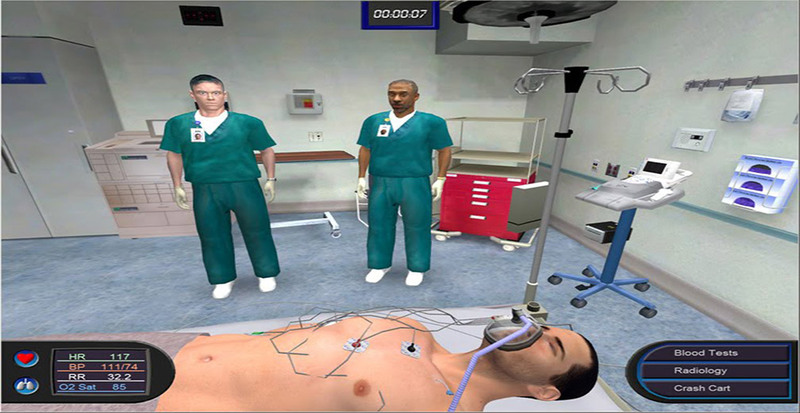 In the case of simulation serious games , the process of decision making is made in an hipper-realistic environment, the player is the actor of what he/she learns. A technology that works by activating interaction is key in the success of such an experimental educational methodology. In specific areas of knowledge as medical training, firefighters response and/or military strategy, serious games could even prevent loss of life. -investigating or advertising in industries such as defense, education, scientific exploration, health care, emergency management, city planning, engineering, religion, and politics. -to explain complex background storys and relations. -It allows repetitions and revisiting of information. -To convince stakeholders and clients. -Fast preparation of interactive 3D apps. No technical background needed. 5 – Marketing / sales. Selling has a lot to do with convincing; most of the trades are made on the spot by establishing a sensible exchange with costumers. Trust-building and understanding the demands of buyers are big tasks for sale representatives. To try a product before it is bought, it is not only appealing, but it may reduce the cost of production and distribution substantially. A proofed product, that also satisfy the quality demands of the one that acquires it, is a winning product. 60% of sales are influenced at the point of sale. customers cannot be left out in the rain. 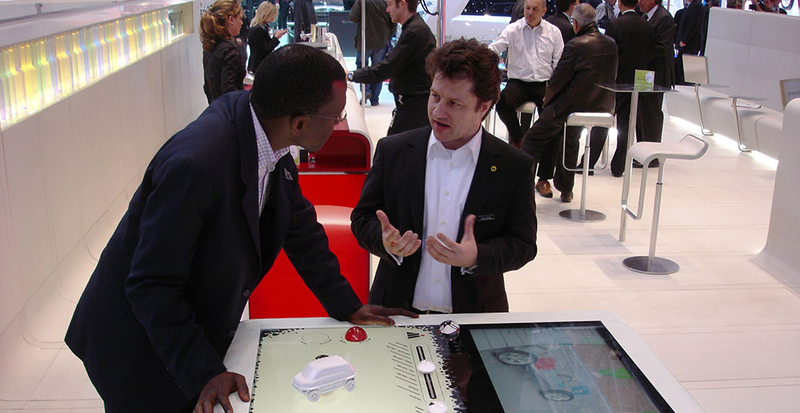 Visualization tools and simulation are key to determine beforehand and predict the success of a product. edddison helps you by increasing sales through facilitating communication, possible products and services´s. Market research shows that by simply interacting with a product for a few seconds, either physically or virtually, the user is attached to the product that often leads to a sale of an item. edddison enables people to sell, plan, visualize and experience any topic, product or process. -Explain complex background stories and relations. -Convince stakeholders and clients. To get a complete picture of what the product is. -Evaluate it before it becomes real allowing decision-making on the spot. -Includes a big range of input devices, easy to customized to the different necessities and product types.